Looking for an activity that will keep your students engaged? 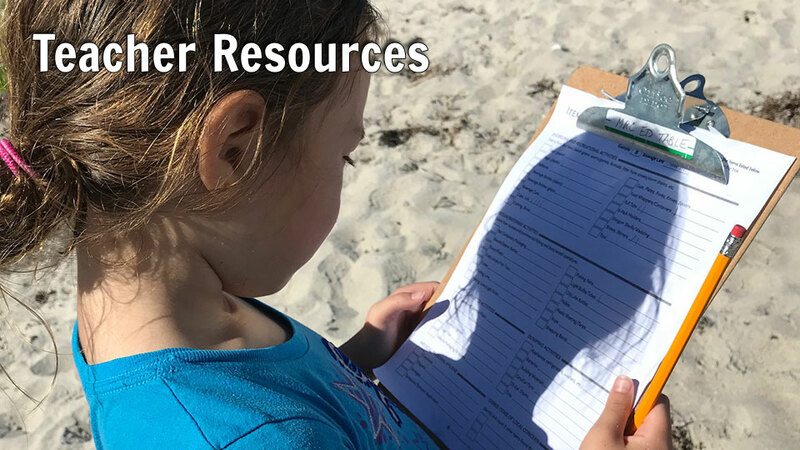 MRC’s Teacher Resources provide wonderful lessons covering estuaries, manatees, sea turtles, and other marine life found right in our back yard. Each activity in the Estuaries 101 Middle School Curriculum is designed around specific performance tasks. A generalized set of scoring rubrics is provided to judge student progress against these performance tasks. Estuaries are areas of transition where fresh water and salt water meet. Look at a globe. What color do you see the most of on the globe’s surface? It’s your job in this exercise to “adopt” one of the National Estuarine Research Reserve System (NERRS) estuaries. Research Question: What are estuaries? Did you know that estuaries are interconnected with the world-ocean and major systems on Earth? The National Estuarine Research Reserve (NERR) System has 28 amazing estuaries (or Reserves) located around the United States. Get ready to explore the world of data. Be a data detective and see what interesting facts you can find. Research Question: What are the physical (geographic, weather and climate) factors that influence and regulate life in the estuaries? Each activity in the Estuaries 101 Middle School Curriculum is designed around specific performance tasks. Research Question: What role do plants and animals play in the estuary food pyramid? If you want to make first-hand observations of living plankton taken from your local river or estuary, you have to catch them! It’s time to take a closer look at some plankton! Research Question: What are plankton and why are they important in the estuary? Procedure: You will have broken apart and examined your oyster reef sample. Maybe it’s a bit late to think about this, but just how does the oyster survive in the intertidal zone? The Problem: Something is wrong on the island of Wando Fooka. The normally successful local oyster harvesters have seen a reduction in their annual oyster harvest. populations threatened, and what can be done to prevent declines in oyster populations? Research Question: What are the basic anatomical features of horseshoe crabs that allow them to survive in the estuary environment? Sharks are amazing, often misunderstood animals. A shark’s shape and other adaptations in the shark’s body provide important clues as to where that species of shark lives, how it hunts, what it eats, and the role it plays in its ecosystem. Research Question: What are the basic characteristics of sharks that allow sharks to survive in the ever changing estuary environment? Research Question: How have birds adapted to survive in estuary habitats? The water in Mobile Bay, while shallow, tends to be in layers. Fresh water coming from the rivers does not contain a lot of salt. That means the fresh water is less dense than the saltier ocean water from the Gulf or even the brackish water already in the estuary. Use the following to explain key features of the three graphs used by students in this exercise. What is a “Jubilee” and what specific conditions must be present for a jubilee event to occur? What Lives in Mangrove and Salt Marsh Habitats? Are you likely to find a polar bear hunting for seals in the warm coastal waters off of Hawaii? No! The black mangroves on Harbor Island, Texas are growing at the northern limit of their range. They can’t survive any farther north because they are not adapted to the freezing temperatures that occur more frequently there. Research Question: What do research and long-term monitoring reveal about changes in estuary habitats and the animals adapted to live in those habitats? 1-page fact, labeling, and coloring sheet. 1-page activity to match right whale terms with the correct picture. 4-page fact and activity booklet. Colorable. Create and decorate a loggerhead turtle out of a paper plate. 18-page coloring and information booklet. In Spanish. 26-page coloring book with a map and scenes from Florida’s past. 60-page coloring book featuring IRL wildlife in an A–Z format. 40-page book of facts and activities. Color. 20-page activity book and coloring book. 16-page book of facts and activities. Color. 4-page pop-up diarama activity. Colorable. 2-page activity sheet with a nature theme. Colorable.